When many parts of the world are facing with unemployment, Vietnam on the other hand has abundant of new jobs especially for the foreigners because of their continious economic growth. In demand jobs include jobs in the field of education, finance, banking and Information Technology. Vietnam’s economy forecast to grow by 7% in 2019 according to World Bank. You may think vietnam as poor country but … they do give comparatively higher salary especially those who are working as an english teacher. Yes! it is true. English teacher in Vietnam earns as much as 2000$ per month for native english teacher and at least $900 for non native english teacher, depending on the qualification. According to the seventh edition of the HSBC Expat Explorer survey, If you want to earn six-figures salary, head for Asia. In Addition 75% of expats in Vietnam say that they are satisfied with their income in the said country. Expats can always live a pleasant life with a moderate expenditure in Vietnam. It comes in a less expensive price nearly in all aspects than almost anywhere else in the world, from food, transaportation and even the rent of your accomodation. According to HSBC’s Expat Explorer Survey, 49% of expats spend less on going out to local restaurants, theaters, music bars or general night life compared with the global average of 23% who said the same. All of these things make Vietnam one of the most cost effective countries in the world. 4.Culturally interesting place to live. 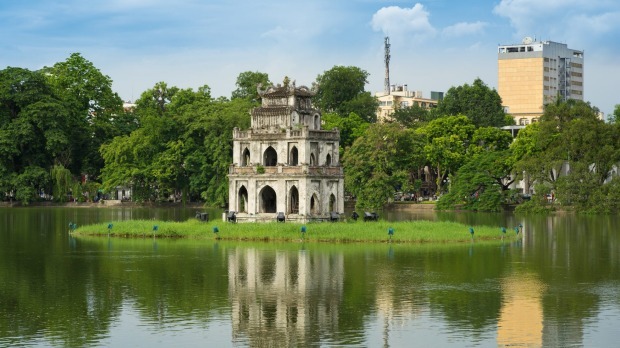 Almost all of the expats describe Vietnam as fascinating place to live. Vietnam has its own impressive and distinctive culture to live and experience, because this culture offers plenty to do for almost any budget. You can find hundreds of stunning dishes. 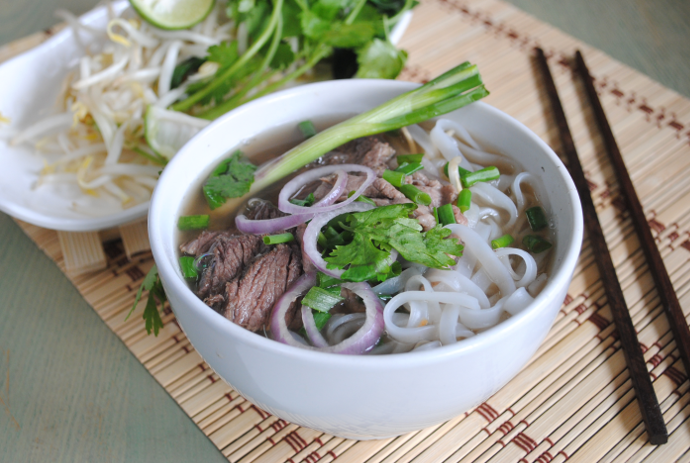 Some of these dishes with unique and stunning flavors inlcudes their very famous PHO that originated centuries ago. Compared to a few neighbor countries in the region, Vietnam appears to be much safer to live and work because of its favorable geographic location. There is almost no natural disaster: no earthquake, no tsunami, no volcano, etc. It has a relatively political and social stability: you hardly find yourself involved in any political insurgency accidentally in Vietnam. Moreover, the crime rate is small and petty crime will not be a problem if you take some necessary precautions. Vietnam is well-known for many attractive and inspiring tourist destinations. Do you love sunny seashores? Vietnam has countless beautiful beaches: Nha Trang, Mui Ne, Phu Quoc, My Khe, etc. If you want to be in a pure cool highland with refreshing lakes and streams, spend time in Da Lat, Sa Pa, Mu Cang Chai, Moc Chau, etc. Or you find it enchanting to learn more about the history and culture of Vietnam and its people, go to Mekong Delta, Hue, Hoi An,… or just historical museums in Ho Chi Minh City. Moreover, there are Phong Nha- Ke Bang National Park , Ha Long Bay, Fansipan mountain, etc. which are internationally recognized for their beauty. Hence, you do not have to worry about where to visit and relax on your holidays or day-offs! Vietnam has climatic differences among the North, the South and the Central, which means there is always nice weather somewhere. Living or working in North provinces means you can be through four seasons in a year; on the other hand, the South offers you only rainy and sunny seasons. But, generally, if you like warm weather throughout the year, Vietnam will be appropriate for you. Though this country underwent years of intense history and is changing fast nowadays, the Vietnamese still keep their hospitality and generosity toward international people. Also, the features of cleverness, diligence, and enduring difficult circumstances help them become more skilled and better on working. They are ingenuous but adaptable and enthusiastic, forward-thinking and optimistic. Thus, take a chance to get to know them yourself! Vietnam also has its own “street-culture”: you will have any kind of food and drink whenever you are on streets. People sometimes simply sit on the sidewalk, enjoy their meals with a take-away coffee and talk to each other. Strong and flavourful Vietnamese coffee makes converts as quickly as it raises pulses. French colonists might have introduced coffee to Vietnam, but the morning cup of ca phe soon became a local habit. With variations that make use of yoghurt, eggs and even fruit, Vietnamese coffee has developed a style of its own.